He began his writing career on a lark, penning a humorous tale of cowpokes with a taste for larceny. Little did he know that that work would be published years later with more to follow. Multi-genre author Jack B. Strandburg can celebrate: the muse is strong with more to come. Welcome to the blog, Jack. Tell me, how did you go from a pool sharking Western comedy a la Mel Brooks to a serial killer thriller? 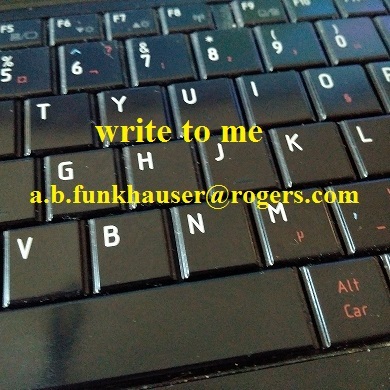 I wrote the Western comedy in the mid 1980’s just for fun, with no thought or dream of ever publishing the work. Even when I wanted to become an author, I never dreamed this work was good enough to make the grade. It just happened to kick off my publishing career (if you can call it a career). 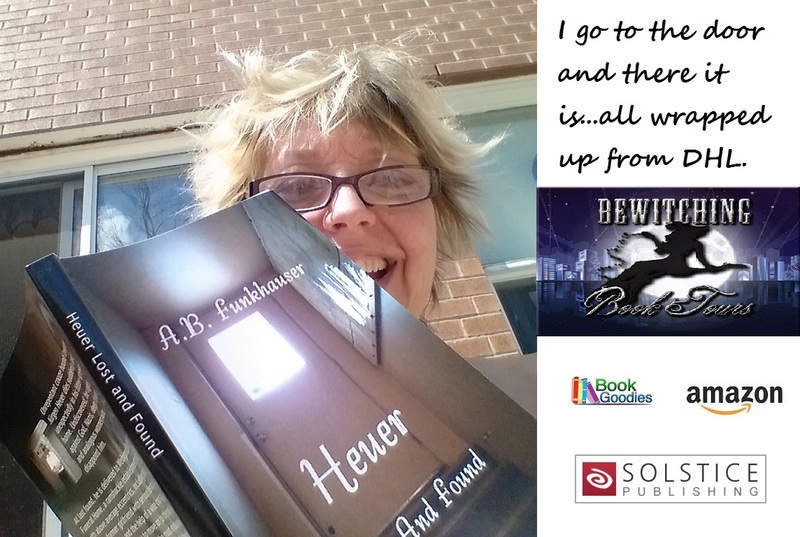 I’ve always loved the mystery, suspense, and thriller genre, however, so once I decided to pursue my dream, I knew that genre would be the one of choice. Your current WIPs focus on investigations: one from the POV of an armed forces veteran; the other from someone inside the police force. How does this style of detective work compare? Does the veteran have more freedom than the cop, as in the case of a P.I.? I don’t really focus too much on the “definition” of a P.I. vs. a cop vs. another protagonist, but you’re right in assuming the veteran will have more freedom. I’m more concerned with my protagonist making sure the antagonist gets the justice he or she deserves, even if the cop, P.I., or other have to bend the law a little. THE MONOGRAM KILLER has ‘history in the mystery.’ Can you give us a teaser? And of course, I’d love a look at HUSTLE HENRY. I keep thinking of A MILLION WAYS TO DIE IN THE WEST. Twelve days later, Henry sat in a saloon in Flintrock, Texas sipping whiskey from a shot glass riddled with fingerprints. The barkeep claimed his towels were too soiled from wiping up beer and tobacco spit from the floor and counter to keep the glasses clean. Whatever. The saloon had seen better days. The legs on most of the chairs and tables were either cracked or broken, the walls bare, the piano hideously out of tune, and the stairs so rickety, the survival rate for getting to the upper floor was less than twenty percent. The odor of urine and vomit mixed with liquor hung in the air like a horse’s fart in high humidity. Flintrock, located two-hundred miles south of the Oklahoma-Texas border, would never rank high as an Old West tourist attraction. The Sahara sands paid you a recent visit. What is that like and have you dug out? A few years ago I was diagnosed with allergies to dust mites and mold. Allergy shots have helped, but the dust dropped by the sandstorm flared my allergy symptoms. Unfortunately, I don’t get a runny nose, itchy eyes, or scratchy throat, my symptoms are lethargy followed by fatigue. At first I didn’t know the reason why my allergies flared up until I read about the sandstorm. People all over Southeastern Texas (apparently the storm’s destination) are flocking to doctors, many asking why they are getting symptoms they never experienced before. Those suffering with asthma and respiratory ailments are warned to stay indoors as much as possible. I guess I should consider myself somewhat fortunate I’m not more sick. The situation is improving, and I don’t have the symptoms as often, but still must fight through occasional suffering. Ed. – You have my sympathies, sir. I’m currently surrounded by Ragweed! Anyone with creative talent and who wants to be a writer / author, keep on the lookout for sources of inspiration. They could come from anywhere. The idea for The Monogram Killer came when I was on the treadmill listening to “Hollywood Nights” by Bob Seger. The first two lines go, “She stood there bright as the sun on that California coast, He was a Midwestern boy on his own.” I had two characters, one wanting to meet the other, somehow it became a serial killer story with a paranormal twist. Go figure. Ed. – I couldn’t agree more. A Matter of Honor (short story) – Luke Coleman returns from the armed forces and learns the truth about the deaths of his father and brother, both police officers. A Head in the Game (novel) – Chicago Homicide Inspector Aaron Randall faces his toughest case while dealing with doubts about his career and the potential of a romantic relationship. Jared Prescott, a Heisman Trophy winner and Vice President of a large and respected pharmaceutical company, is found murdered at a seedy motel. The investigation uncovers more suspects than normal, with motives ranging from jealousy to revenge to extortion. When the body of his close friend and number one informant is found stabbed to death in a deserted alley, and a woman claiming to be present at the time of Prescott’s murder is gunned down in front of him, and a woman who worked for the same company is found murdered in her home, Randall knows he is dealing with a conspiracy. Randall is hamstrung during the investigation by pressure from the commissioner down the chain of command because the president of the pharmaceutical company, anxious for resolution to Jared Prescott’s murder, is a close friend with a Senator whose sights are set on the Oval Office. He self-published an inspirational titled An Appointment With God: One Ordinary Man’s Journey to Faith Through Prayer, by Trafford Publishing. His first published novel by Solstice Publishing is Hustle Henry and the Cue-Ball Kid, a parody of the movie, Butch Cassidy and the Sundance Kid. His third work, a novella titled The Monogram Killer, published by Solstice Publishing, was released in May, 2016. He is currently working on a short story titled A Matter of Honor, revising his first mystery novel, A Head in the Game, writing journals for an upcoming inspirational non-fiction book; and completed 70% of a first draft for a second mystery novel titled War Zone. He is an editor and proofreader for Solstice Publishing. Jack currently lives with his wife and two grown children, in Sugar Land, Texas. He has three grandchildren. Thank you for joining us, Jack. We look forward to your WIP’s. Write on! TOMORROW: Author and poet A.F. Stewart shares HORROR HAIKU and the art of a line. Charlene: One of my proudest moments after publishing The Stain on Amazon (and check out the upcoming free days, starting May 19 when you may download Ebook The Stain for FREE) was to receive an unsolicited review that marked the book with 5 Stars! Charlene: I want to say nothing cheers a writer more than hearing another person notice with favor the style in which she writes. Thank you B Nelson and I am in your debt although I do not know you. 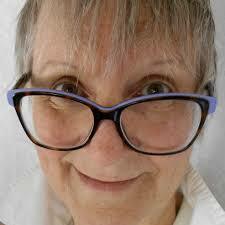 Charlene: I crossed paths with Pennie Mae on Goodreads, a fabulous site for writers and readers of all interests. Pennie not only read my book on a whim, but enjoyed it so much she has requested copies of any other writing I do! I’m not sure my next book, due out this fall 2015 will suit her tastes, as I veer wildly away from Fiction into Non-Fiction with my book on (hold on, be patient) Vajrayana Buddhist Meditation parallels Neuroscience! The book, Medicine Buddha/Medicine Mind really is an easy to read guide to how to best make the most use of that amazing organ, your brain! I’m deeply excited in a kind of quiet way for this book to hit neuroscience readers, meditators, writers, all of us interested in how our brains work. Diana’s deepest struggles echo thunderous trouble from unresolved lives in the distant past. She discovers she has the power to release every one of them—for a price! Will she walk with the Dead to cleanse The Stain? Would you? 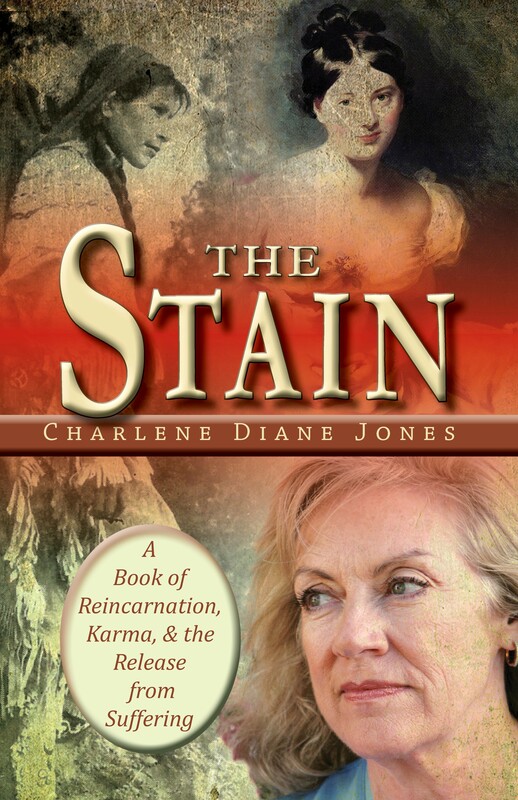 Charlene Diane Jones’ 40 plus years of Tibetan Buddhist study and meditation inform The Stain, her description of the laws of Karma and Reincarnation in novel form. Look for it at http://charlenediane.com/author/The-Stain and on Amazon.ca under the name Medicine Buddha/Medicine Mind. or at Amazon.ca under the same. Mehreen Ahmed – Charlene Diane Jones’ sensuous book is seriously captivating…The writer’s story-telling talent is evident in her stylistic strength of conjuring profound and eternal themes of suffering, death and disappointment. Yes, the themes universal and constant do engage the reader with some sad territory but the outcome I hope is as these reviewers agree, worth it. Redemption and a path for shifting out of, away from one’s own “stain” or repetitive ongoing patterns, shines through in the work, a beacon to those of us curious about the nature of human life, the position of suffering, our history as a species and the deep individual lives that have come before us. I hope you enjoy it and may you be well and happy!